This Error Message Article explains the BarTender message “BarTender will now run in demonstration mode where one character per printed barcode or text object will be randomly changed in the print preview and the actual print output.” and details how to fix the underlying problem that caused it to appear. BarTender workstation is not activated. BarTender, in network configuration, has a two-steps license activation process. In BarTender Designer, from Help menu, select Activation Wizard. Follow the instruction on the screen. You will need to enter a 16-letter license activation code. This code is the license assigned to your organization. All instances of BarTender installation will use the same installation code. In BarTender Designer, from Administer menu, select Licensing Setup (only available if step 1 is completed). 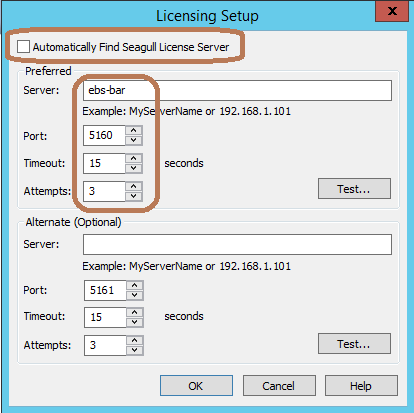 You can try to use the Automatically Find Seagull License Server. In a small office, it will most likely be fine. However, in a larger office where there are complex network infrastructure, it will most likely fail as the program will not search outside its current sub-net. You can use the manual setup by entering the BarTender server name and the port number (5160 is default). If you have any question, please check with your system administrator.